Contemporary Music is an online resource which provides access to information about contemporary music in France. The site offers access to “124,993 biographies, books, music scores, sound recordings, videos… available in 17 databases”. The site offers a federated search across the holdings of its participating institutions (see here for a definition of federated searching). Users may also browse by institution; so, for example, you can search over 1,900 scientific papers offered by Ircam. Audio files are mostly offered as excerpts, in streaming audio format. Access to scores is principally via bibliographic records, rather than by access to the full score. 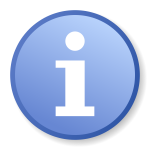 Information is provided on how to contact the institution of origin on this material. Scientific papers are offered with some full text (HTML format) with the remainder consisting of online citations only. There are some limitations to the site. Although offered in both a French and English version (click on the flag symbols to toggle), the English version in many places has French terms in the text and in the search fields. In some cases, references to audio files are provided, but playback does not work. It does not seem possible to sort search results in all of the results screens. Also, some content is restricted to subscribers (for example, Ircam offers links to composers’ biographies in Grove Music Online, but following these links leads to a subscriber login. Note that full-time Columbia affiliates may access the full Grove Music Online via the Columbia Libraries’ standard link, via “Databases” on Library Web). Despite these minor glitches, this gateway offers a valuable search utility to discover resources on contemporary music in France, with content that would not be easily accessible elsewhere. This entry was posted in Databases, E-Resources, Recordings and tagged Databases, E-Resources, Recordings on June 24, 2009 by Nick Patterson. No estimated time of resolution has been provided yet. We apologize for this interruption of service. This entry was posted in Databases, Service Alerts and tagged Databases, Service Alerts on April 23, 2009 by Nick Patterson.